Ties Together Current Strategies and Tactics Capitalizing on Off-Premise Marketplace while Simplifying the Impact on Operations and Adding Value to Guests through Connecting Online Ordering to Loyalty. Proceeds to fund sales, marketing and continual product development of Order One, the leading restaurant industry off-premise ordering platform. BELLEVUE, Wash. – December 19, 2018 – Restaurant Revolution Technologies, Inc. (Revolution) today officially announced it has secured an undisclosed amount of investment capital from current lead investor and majority owner, James Cutri. Mr. Cutri, a private angel investor, also acquired 100% of the assets of Revolution pursuant to the secured convertible promissory note which he executed in May 2018. Mr. Cutri intends to fund his investment vehicle that is acquiring the assets, RRT Holdings, LLC, a Delaware limited liability company, so that the new company will be able to continue to provide the contracted services to customers of Revolution. “2018 has been an exciting and dynamically transformative year for Revolution as we’ve continued to innovate our Order One platform serving the off-premise needs of our restaurant partners and providing the best experience to their customers,” said Revolution CEO Brad Duea. “All of us at Revolution are grateful for James Cutri’s unwavering support and are excited for a 2019 year that is well poised for substantial growth as the off-premise sector continues its electrifying transformation within the restaurant industry,” said Duea. “Mr. Cutri’s funding will allow the company to scale sales and marketing activities as well as continue to innovate and enhance the Order One platform and related services to powerfully address the enormous off-premise opportunity,” said Duea. A fully branded presentation of menus with real-time updates based on menu item availability. Direct delivery enablement capabilities providing customers the opportunity to order directly from the restaurant’s website and opt for delivery fulfilled by third-party delivery services like DoorDash without the use of tablets that require data re-entry. Monitoring of submitted orders from start to finish and providing order management protection. If there’s a problem, such as credit card processing failures, Order One, along with its live issue monitoring and order resolution team, will troubleshoot in real-time and ensure customer satisfaction. Capturing customer data for a comprehensive look at all ordering channels and necessary data to drive revenue and make crucial business decisions. Group ordering capabilities to have a group order managed, submitted and paid for by a single payer or multiple payers. Chat ordering capabilities for customers to receive chat assistance on an online or mobile order, and to connect to the same live agent for further assistance. Repeat ordering capabilities for customers to quickly repeat previously placed or favorited orders at a click of a button for fast and easy reordering. Social media login and sharing capabilities for customers to easily sync and login via social media accounts and directly share menu items, favorites and other content across social platforms. For information on Revolution, RRT Holdings, LLC and its Order One platform, visit rrtusa.com. RRT Holdings, LLC is the off-premise partner for restaurants nationwide. Through its Order One platform, it provides a unified web, mobile and voice order management software platform that seamlessly integrates into restaurant point of sale systems. The company’s delivery enablement programs fulfilled by DoorDash, backend services and data capture capabilities allow restaurants to seamlessly serve off-premise orders and provide a premium, branded start-to-finish experience for their customers. Learn more at www.rrtusa.com or follow on Facebook, Twitter and LinkedIn. Order One, Revolution’s ordering platform, receives advanced certification from Punchh. BELLEVUE, Wash. – October 2018 – Restaurant Revolution Technologies, Inc. (Revolution) today officially announced its partnership with Punchh, the restaurant industry’s leading marketing automation platform , to help streamline mobile ordering for restaurants. The newly-formed relationship with Punchh provides an integrated mobile order ahead experience supported by Revolution’s Order One technology. Order One was awarded an advanced certification from Punchh based on the level of integration. Restaurant customers are now able to access their accounts via single-sign-on, earn and redeem loyalty credits including online and mobile purchases, and receive an integrated ordering and loyalty experience within the restaurant’s Punchh-created mobile app. For information on Revolution and its Order One platform, visit rrtusa.com. Restaurant Revolution Technologies, Inc. (Revolution) is the off-premise partner for restaurants nationwide. Through its Order One platform, it provides a unified web, mobile and voice order management software platform that seamlessly integrates into restaurant point of sale systems. Revolution’s delivery enablement programs fulfilled by DoorDash, backend services and data capture capabilities allow restaurants to seamlessly serve off-premise orders and provide a premium, branded start-to-finish experience for their customers. Learn more at www.rrtusa.com or follow on Facebook, Twitter and LinkedIn. Headquartered in San Mateo, CA, Punchh is the world leader in innovative digital marketing products for brick and mortar retailers, combining AI and machine learning technologies, mobile-first expertise, and Omni-Channel communications designed to dramatically increase lifetime customer value. Leading global chains in the restaurant, health and beauty sectors rely on Punchh to grow revenue by building customer relationships at every stage, from anonymous, to known, to brand loyalists, including 140 different chains representing more than $12 billion in annual spend. BELLEVUE, Wash. – September 5, 2018 – Restaurant Revolution Technologies, Inc. (Revolution) today officially announced its partnership with Thanx, Inc. which helps restaurants and retailers drive incremental revenue through personalized marketing campaigns and deeper customer loyalty. Supported by Revolution’s Order One technology, the newly-formed partnership with Thanx adds more convenient ways for off-premise customers to order food from their favorite restaurants while earning and redeeming loyalty rewards through single sign-on. The first restaurant to take advantage of the integration is Garden Catering Restaurants (Garden Catering), a multi-unit chain with locations throughout the Northeast. Order One incorporates all customer orders, whether they were placed via web, mobile, social, phone, text or chat, directly into the restaurant’s point of sale (POS) system for optimal efficiency. The use of Intellisell, Revolution’s patent-pending suggestive menu-item selling feature increasing the average order size. Monitoring of submitted orders by Garden Catering customers from start to finish and providing order management protection. If there’s a problem, such as credit card processing failures, Order One, along with its live issue monitoring and order resolution team, will troubleshoot in real-time and ensure customer satisfaction. Restaurant Revolution Technologies, Inc. (Revolution) is the off-premise partner for restaurants nationwide. Through its Order One platform, it provides a unified web, mobile and voice order management software platform that seamlessly integrates into restaurant point of sale systems. Revolution’s delivery enablement programs fulfilled by DoorDash and Postmates, backend services and data capture capabilities allow restaurants to seamlessly serve off-premise orders and provide a premium, branded start-to-finish experience for their customers. Learn more at www.rrtusa.com or follow on Facebook, Twitter and LinkedIn. Thanx (www.thanx.com) is the Customer Engagement solution for restaurants and retailers. As the system-of-record for customer data. Thanx delivers deeper, data-driven relationships that increase same-store sales and lifetime value from top customers and acquires more who look like them. Creating long-term loyalty is about far more than rewards which is why Thanx combines customer feedback, referral marketing and segmented, multi-channel and real-time messaging into a single platform. As a result, Thanx turns good customers into raving fans and measures the impact of every customer communication in measurable incremental revenue generated through deep integrations with credit card networks and points of sale. Thanx is headquartered in San Francisco, CA, was founded in 2011, and is financially backed by some of the best venture capitalists in the industry including Sequoia Capital. Referral agreement to mutually benefit both Revolution and Dragontail Systems. BELLEVUE, Wash. – August 22, 2018 – Dragontail Systems Limited (ASX: DTS, (Dragontail) is pleased to announce that it has signed a mutual referral agreement with Restaurant Revolution Technologies Inc. (Revolution), a Washington based technology company, that provides a revolutionary platform of off-premise solutions for restaurants called Order One. Revolution currently engages and promotes over 2,000 restaurants throughout North America. Revolution’s flagship product, Order One, provides a unified web, mobile social and voice order management software platform that seamlessly integrates into restaurant point of sale systems. Revolution’s delivery enablement programs fulfilled by DoorDash and Postmates, backend services and data capture capabilities allow restaurants to seamlessly serve off-premise orders and provide a premium, branded start-to-finish experience for their customers. This partnership further extends Dragontail Systems’ channel strategy, and will accelerate penetration into the US market. Through the partnership, Dragontail also intensifies its presence in the field “outside the restaurant’s four walls”, as Revolution defines it, and contribute to the customers’ positive and proactive engagement. Commenting on the new partnership, Revolution’s CEO, Brad Duea said: “All of us at Revolution are very enthusiastic about our partnership with Dragontail. Both Revolution and Dragontail strive to improve the customer experience, bring operational efficiency and strengthen the brand and business of restaurants. . “. Restaurant Revolution Technologies, Inc. is the off-premise partner for restaurants nationwide. Through its Order One platform, it provides a unified phone, mobile and online order management software platform that seamlessly integrates into restaurant point of sale systems. Revolution’s backend services and data capture capabilities allow restaurants to seamlessly serve off-premise orders and provide a premium, branded start-to-finish experience for their customers. Learn more at www.rrtusa.com or follow on Facebook, Twitter and LinkedIn. Dragontail is revolutionizing the Quick Service Restaurant (QSR) and foodservice industry with its Algo System and computer-vision QT quality system that uses artificial intelligence (AI) machine learning. The Algo System uses a sophisticated patented algorithm to optimize and manage the entire food preparation process from order to delivery. It is the first system in the world to fully automate and streamline the kitchen flow to deliver an immediate and significant return on investment to fast food and quick service restaurants. The QT system’s sensor and camera automatically monitor the preparation and cooking process in the kitchen to improve the quality and consistency of meals. Using proprietary advanced AI machine-learning technology, the system keeps improving its diagnostics, becoming even more efficient. For more information, visit www.dragontailsystems.com. Integration adds greater order accuracy and increased exposure for brands. BELLEVUE, Wash. – June 20, 2018 – LevelUp, the growth engine for restaurants, announced today it is teaming up with the off-premise partner for restaurants, Restaurant Revolution Technologies (Revolution), to drive more digital orders and off-premise business for restaurant partners. Revolution’s Order One platform, which submits customer web, mobile, voice, social and chat orders directly to a restaurant’s POS system, will integrate directly into existing LevelUp technology. Distribution: Restaurant partners gain enhanced exposure and ordering distribution across the growing number of LevelUp Broadcast channel partners, like Chase Pay and Yelp. Operational Efficiency: Revolution merchants benefit from effortless distribution without the need to execute additional operational agreements or implement operational changes. Options and Accuracy: This partnership will provide LevelUp consumers with additional restaurant options to choose from and ensures that each order is fulfilled successfully. LevelUp connects restaurants and guests with a seamless customer experience that blends analytics, loyalty, and rewards. LevelUp brings its technology to market in multiple ways: embedded into partner restaurant apps to provide a full-stack customer engagement solution; via an open developer platform that powers over 200 mobile apps and 50,000 locations; and through the LevelUp’s partner distribution channels, which let consumers order ahead and avoid the line at their favorite lunch spots using the apps already on their phone. Based in Boston, MA, LevelUp is backed by leading investors such as Google Ventures, Highland Capital and JPMorgan Chase. New version includes direct delivery enablement, chat and group ordering, quick reordering functionality, real-time menu syncing and a modern, social media enabled experience. BELLEVUE, Wash. – April 11, 2018 – Restaurant Revolution Technologies, Inc. (Revolution) today announced it released the next generation of its omni-channel ordering platform, Order One. The burgeoning platform is quickly becoming a favorite among restaurant operators, as it provides a plug-and-play solution for restaurants to easily allow customers to place takeout, delivery or catering orders by phone, website, mobile or, now, even by chat. The comprehensive Order One platform submits all orders – regardless of how they were placed – directly into a restaurant’s point of sale (POS) system, removing the need for specialized tablets – which require valuable staff to re-enter orders. Beyond being able to automatically submit orders from all customer input points (phone, web, mobile, text, chat), Order One also monitors submitted orders from start to finish and provides order management protection. If there’s a problem, such as credit card processing failures, Order One, along with its live issue monitoring and order resolution team, will troubleshoot in real-time and ensure customer satisfaction. Angular 2.0 Ordering Sites: A visually appealing and experiential presentation of restaurants’ menus with real-time updates based on menu item availability. Delivery Enablement: Ability to allow restaurant groups to expand their capabilities by providing a direct-from-the-restaurant delivery option for their customer base couriered by top services such as DoorDash. Chat Ordering: The ability to receive chat assistance on an online or mobile order, and to connect to the same live agent for further assistance. Group Ordering: Ability to have a group order managed, submitted and paid for by a singular payer or multiple payers. Repeat Ordering: Ability for customers to quickly repeat previously placed or favorited orders at a click of a button for fast and easy reordering. Social Login and Sharing: The ability for customers to sync and login via social media accounts and directly share menu items, favorites and other content across social platforms. For more information on Revolution and its Order One 3.0 platform, visit rrtusa.com or follow on Facebook, Twitter and LinkedIn. Restaurant Revolution Technologies, Inc. (Revolution) is the off-premise partner for restaurants nationwide. Through its Order One platform, it provides a unified phone, mobile and online order management software platform that seamlessly integrates into restaurant point of sale systems. Revolution’s backend services and data capture capabilities allow restaurants to seamlessly serve off-premise orders and provide a premium, branded start-to-finish experience for their customers. Learn more at www.rrtusa.com or follow on Facebook, Twitter and LinkedIn. Consumers now able to easily place delivery orders direct with restaurants employing both Revolution’s Order One platform and DoorDash Drive. BELLEVUE, Wash. – March 14, 2018 – Restaurant Revolution Technologies, Inc. (Revolution) today officially announced its partnership with DoorDash, the technology company connecting consumers with the best local restaurants, to help streamline online ordering for participating restaurants. The groundbreaking Order One software from Revolution is an off-premise omni-channel ordering platform that captures and submits all customer takeout and delivery orders placed by phone, website, mobile or chat. Order One integrates into multiple point of sale (POS) systems, meaning once the order is submitted, it is incorporated directly into the restaurant’s POS and operational system for optimal efficiency. Order One also captures all customer information and customer order history so that customers can easily re-order and restaurants can keep in touch with their customers. Once an order is ready for delivery, the Order One platform notifies DoorDash’s innovative catering and fulfillment service, DoorDash Drive, through its API integration. A DoorDash Drive driver, called a “Dasher,” picks up the order from the restaurant and couriers it directly to the customer. From the customer’s perspective, the experience feels like the order was placed directly with the restaurant and delivered by the restaurant versus two third-party services. Through Order One, customers can not only place their order via the restaurant’s website, they can also call in their delivery order and speak with a live agent. These agents are trained as brand ambassadors to be well-versed with the restaurant’s brand, know the menu inside and out, and provide quality customer service. The result allows restaurants to offer the best possible off-premise experience to their customers. With Revolution’s unified phone, mobile and online ordering platform and related services, such as data capture, live phone support and real-time order monitoring and issue resolution, no other company in the space provides a similar solution. Revolution plans to continue rolling out its Order One platform with delivery enablement in partnership with DoorDash by adding new restaurant partners throughout 2018. For information on current and coming soon restaurant partners, or more information on Revolution and its Order One platform, visit rrtusa.com. Founded in 2013, DoorDash is a San Francisco-based technology company passionate about transforming local businesses and dedicated to enabling new ways of working, earning, and living. Today, DoorDash connects customers with their favorite local and national restaurants in more than 600 cities across the United States and Canada. By building intelligent, last-mile delivery infrastructure for local cities, DoorDash aims to connect people with the things they care about — one dash at a time. Read more on the DoorDash blog or at www.doordash.com. Bellevue, Washington – Restaurant Revolution Technologies, Inc. (Revolution) has completed its Series B round of funding, bringing the restaurant-specific SaaS (software as a service) company’s total funding to date to $23.5 million. James A. Cutri, a private angel investor, led the funding round, which included previous investors. The new use of proceeds is slated to drive growth through continued software development and innovation, strategic partnerships, marketing and sales related initiatives. 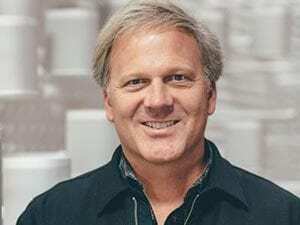 Revolution also recently announced the hiring of Brad Duea, a former Sonos, T-Mobile and Napster executive, as Chief Executive Officer. Mr. Duea has been leading the company’s new strategic direction to capitalize on the off-premise opportunity (takeout, delivery, catering) and was also primarily responsible for spearheading the recent Series B round of funding. “All of us at Revolution are grateful for the support of our investors and are excited for what’s in store for 2018. We are well poised for substantial growth which is a direct result of our unwavering passion to support our restaurant partners in their pursuit of growth related to the off-premise opportunity,” said Duea. With this investment, Mr. Cutri has joined Revolution’s Board of Directors. Further financial terms of this deal have not been disclosed. Bellevue, Washington – The Board of Directors of Restaurant Revolution Technologies, Inc. (Revolution) has appointed Brad Duea as its permanent CEO. Brad began working with Revolution in June 2017 as a strategic advisor. In July, the Board appointed Brad Interim CEO. Now, Brad joins Revolution as its permanent CEO and will be joining the company’s board of directors. Brad joins Revolution at a critical period as the restaurant industry continues through a massive paradigm shift in addressing off-premise opportunities (takeout, delivery and catering) which have become the single biggest area of growth potential for restaurants. Brad has spent his career applying technology to delight customers by creating new experiences for consumers. Brad has been at the forefront of the digital and mobile revolution, building and motivating teams across the globe in dynamic segments, including digital music, digital media software, mobile devices and services and smart consumer electronics. Most recently, Brad served as Managing Director / General Manager of the Americas-Pacific business unit for Sonos, Inc., the wireless speaker company, where he was responsible for well over $500 million in revenue. Prior to that, Brad was SVP, Marketing for T-Mobile USA. Brad was the senior marketing executive responsible for all product management, including the sourcing, positioning and delivery of over $5 billion in value added services, devices and accessories. Prior to joining T-Mobile USA, Brad served as President of Napster, Inc., the pioneer in digital music, which Best Buy, Inc. acquired in 2008. Under Brad’s leadership, Napster’s total revenue increased from less than $12 million to well over $120 million, including an increase of international revenues from zero to over $20 million with a 2,500% increase in subscribers. Prior to Napster, Brad served as VP of Worldwide Business Development and Worldwide OEM Sales for Roxio, Inc., the digital media software company with market-leading applications Creator and Toast. Prior to joining Roxio, Brad was VP of Corporate Development for PeopleSupport, Inc., a leading provider of integrated e-customer relationship management solutions, and a corporate lawyer with O’Melveny & Myers LLP. Immediately upon his arrival, Brad instituted a new strategic vision: to grow the brands and business of Revolution restaurant partners by making dining and meals more convenient for customers. With Revolution’s new vision in place, the company embarked on a renewed pursuit of deeper and more rapid technological innovation. Brad has also helped reinvigorate Revolution’s “merchant-first” mentality, focusing on strengthening the business of its restaurant partners by delivering a great experience to customers.